Want to know everything about brewing abbey ales? “Brew Like a Monk: Trappist, Abbey, and Strong Belgian Ales and How to Brew Them” will show you how! 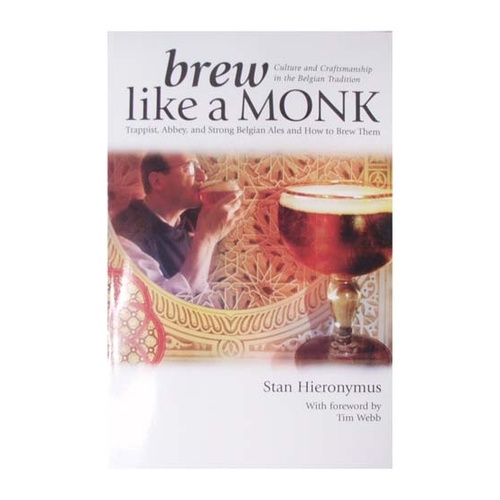 A favorite in the “Belgian Book Series” by Stan Hieronymus, “Brew Like a Monk” goes deep into the Belgian culture and it's breweries and delivers well-written and technically accurate information to homebrewers who want to craft Belgian Ales. Not only are basic recipes reproduced here, but fermentation temps, wort handling, and anything else that can have an impact on flavor. It effectively covers the “how-to” for brewing these unique ales, giving you a definitive and complete working knowledge of Belgian brewing in the Trappist tradition. If you want to brew a belgian than this is the book for you. Tons of great info and insights. I have read it cover to cover and gone back for more. This was my first brewing book and quite a enjoyable read. Highly recommended.